Identify who is logged into your database. Identify what tables, and records are being used, and locked. 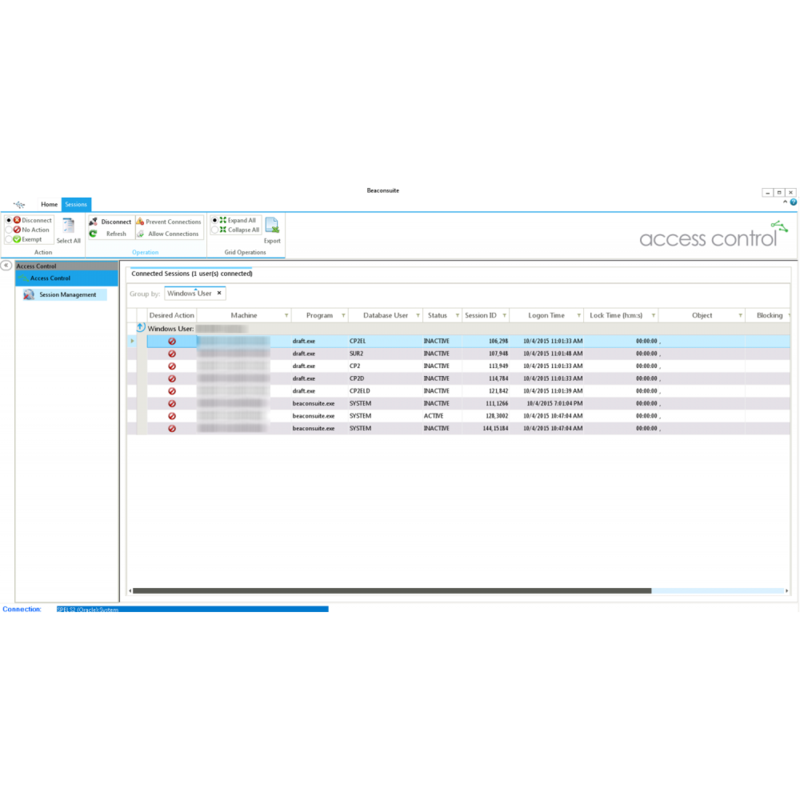 Disconnect users and prevent re-connections when requiring sole access. SmartPlant Enabled! SPI Community get your work done, disconnect other users and gain exclusive access to your database, track user connections. Unlock records, disconnect users, prevent connections. SmartPlant Enabled! Manage SPI Projects. 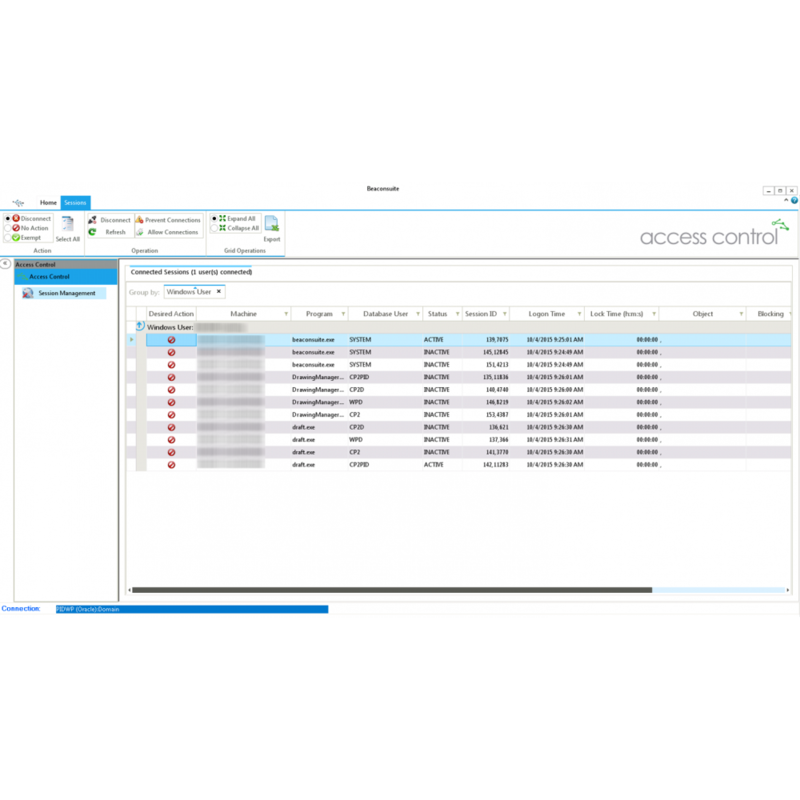 Get answers to project activity, deleted assets, renamed assets, and concurrency. 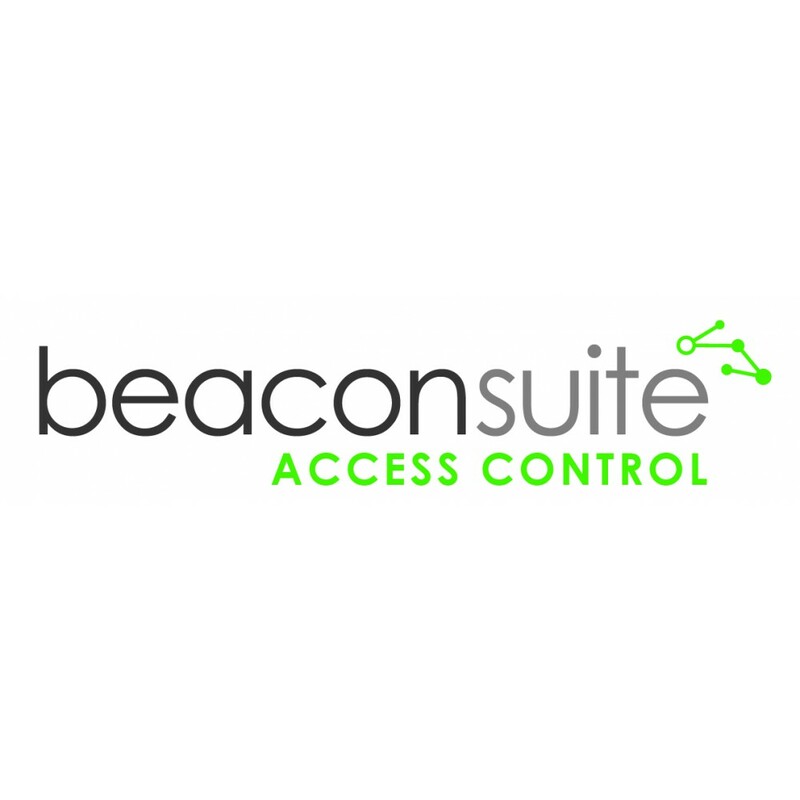 beaconsuite Access Control provides you the power to identify who is logged in, and what tables are being updated by each user. Information exists on locked records and the length of time the lock has been in place. 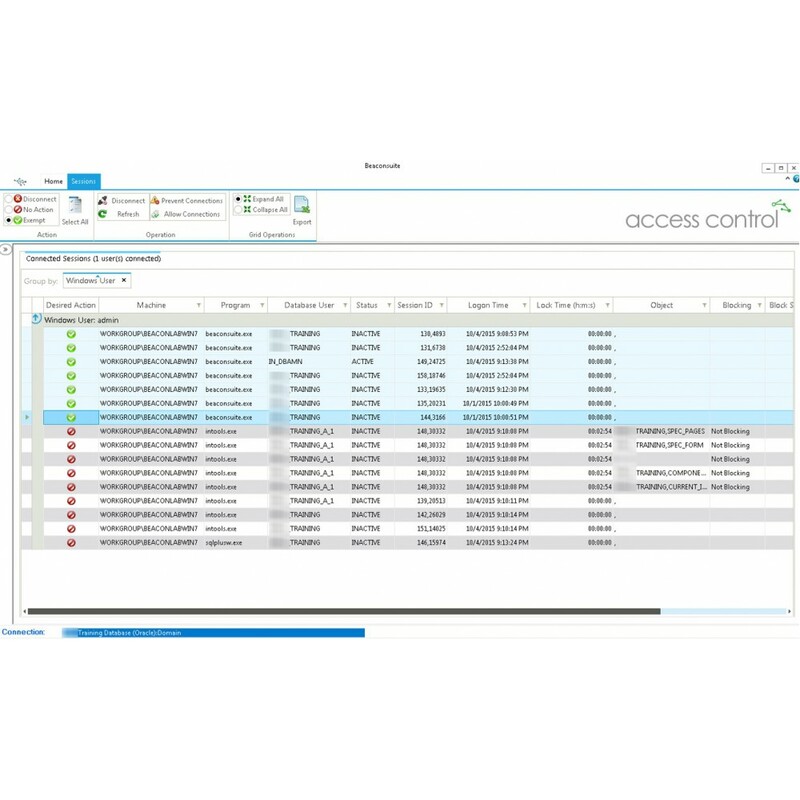 TheAccess Control module gives you the power to disconnect specific users or all users; on the other hand you can exempt certain users, or applications permitting them to remain untouched and connected to the database. Access Control gives you the ability to prevent users from logging back in. 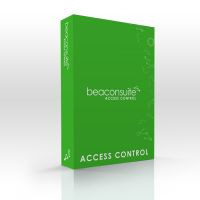 Take control back, use Access Control. Technical Specifications: Access Control has been designed to work with Oracle databases only. Currently Access Control is only SmartPlant Enabled for the SPI community. Ideal Users: Administrators supporting SmartPlant Instrumentation. SmartPlant Enabled! Manage SPI Projects. Get answers to project activity, deleted assets, renamed a..